More so than any other type of vehicle, pickup trucks are made to last. Designed as a pure workhorse, pickup trucks are able to tackle any task that they face. From construction job sites, to landscaping projects, to delivery vessels, there is nothing more capable of handling heavy-duty demands than a dependable pickup. Chevrolet has been the top choice for truck buyers who need maximum capability and dependability at a reasonable price. While newer Silverado pickups carry a higher-end price tag, finding an affordably priced used Chevy Silverado is the right choice for buyers on a budget. Before heading down to any old used car lot to score a deal on a used Silverado, check out some tips of what you should look for during the vetting process. There is nothing wrong with purchasing your next pickup truck used, and opting for a pre-owned version over a brand new model will save you thousands of dollars right from the start. Because pickups are used more heavily than other vehicles on the road, it is important to take steps to ensure that the truck you buy will last for years down the road. Discover some of the areas where you should pay special attention during your used truck purchase, and reference these helpful tips to help make sure you don’t end up with an over-used dud. Daylight is Your Friend: This small tidbit of advice should be applied to any pre-owned vehicle purchase, but especially when perusing used trucks. Even a well-lit dealer lot can mask minor defects, so your best bet is to take advantage of the natural sunlight by shopping during daylight hours. Don’t Be Afraid to Get Your Hands Dirty: When choosing a used Chevy pickup, it is important to thoroughly inspect the model in question, prior to signing any paperwork. A used pickup can look great from the outside, but a quick look under the hood or an inspection of the undercarriage can reveal dirty little secrets that the seller hoped to keep buried. Don’t be afraid to get down on the ground, pop open the hood, and take your time inspecting a used truck before you buy it. This extra step can mean the difference between buying a quality used Silverado, or a complete lemon. Too many used buyers skip this step because they are too concerned with offending the seller, and the majority of them end up regretting it. Test Out EVERYTHING: Pickup trucks like the Chevy Silverado have a lot of working parts, and it is important to make sure that they are all in proper working order. Buyers oftentimes test a used truck in the daylight, and forget to make sure headlights, turn signal indicators, and brake lights are working as they should. Before you even head off the lot to test drive a used pickup, test out all of the buttons and mechanical stuff. Some issues that might arise aren’t deal breakers, such as a burned out headlight, which is a quick and inexpensive fix. A malfunctioning heating or cooling system, however, can potentially cost you more money than you will want to spend right off the bat. Even if the owner or seller questions your sanity as you press every button and test every system on the pickup truck – do it. If there is one time in your life when you should not care about what others think, it’s during a used pickup truck transaction. Inspect the Bed: One of the surest ways to check for excessive wear and tear on any pickup truck, is by taking a peek inside of its bed. Truck beds that have been mis- or over-treated will certainly show it, so be sure not to skip this important step. Look for cracks or dents in the bed which may indicate hauling over the model’s weight capacity, or can hint at the rough life the truck led previously. Check the bed couplings for damage, signs of previous removal, wrenching marks, and newer paint. If anything seems off or suspicious, inquire about it immediately. Don’t like the seller’s answer? Don’t buy the truck. There are plenty of used pickups available from reputable dealerships like Chevrolet of Naperville – so it’s okay to bring out your fastidious side. Lift Kit Installed? Ask Questions: A lift kit on a used pickup truck is not incredibly common, but it certainly makes sense for some trucks to receive this type of off-road enhancement. If you need to find a used Chevy with a lift kit, be sure to ask questions and request the paperwork detailing where and how the lift kit was installed. A DIY lift kit may have saved the original owner a bunch of money from having it professionally installed, but it can end up costing you buckets of money in necessary repairs down the line. To make things easier down the road, skip over any used Silverado models featuring a self-installed lift kit, and don’t make any exceptions. The most important thing to remember about a lifted pickup truck is that if you don’t need it – don’t buy it! Lifted trucks can pose issues in the future, and can hamper everyday performance and on-road function. If you aren’t sure, don’t buy it. Consider Certified Pre-Owned Rather than Used: Buying any used truck from a random car lot or a private seller might seem like the best deal available, but it can end up costing you more money down the road. On the other hand, finding a high quality certified pre-owned used option from a reputable dealership like Chevrolet of Naperville offers complete peace of mind and assurance. Through Chevy’s Certified Pre-Owned Program, your used Chevy will come backed by a manufacturer warranty, free maintenance visits, and more. Every pre-owned Silverado has to pass a 172-point inspection and reconditioning process to be considered, and must also feature less than 50,000 miles and not exceed past five years of age. 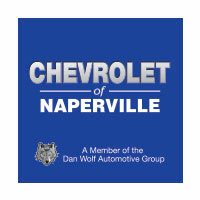 Bottom line: If you want to ensure that your used Chevy lasts as long as you need it to without spending ridiculous amounts of money to keep it running, choose a certified pre-owned version from Chevrolet of Naperville. Come down to Chevrolet of Naperville today and discover a great selection of new, certified pre-owned, and used Chevy pickups waiting for you to take home.